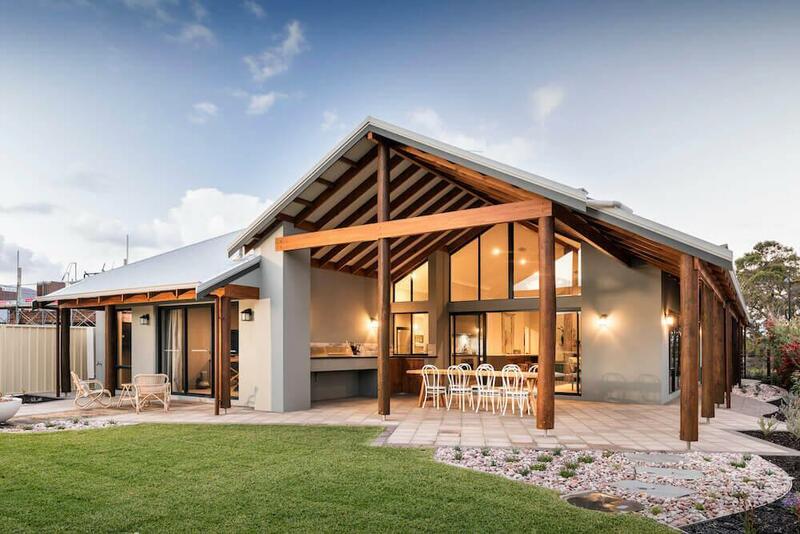 Designed to suit the rural setting, the Kalgup Retreat embraces the Western Australian landscape with its extensive side verandah and sweeping views, feature bush poles, exposed rafters and feature weatherboard cladding. 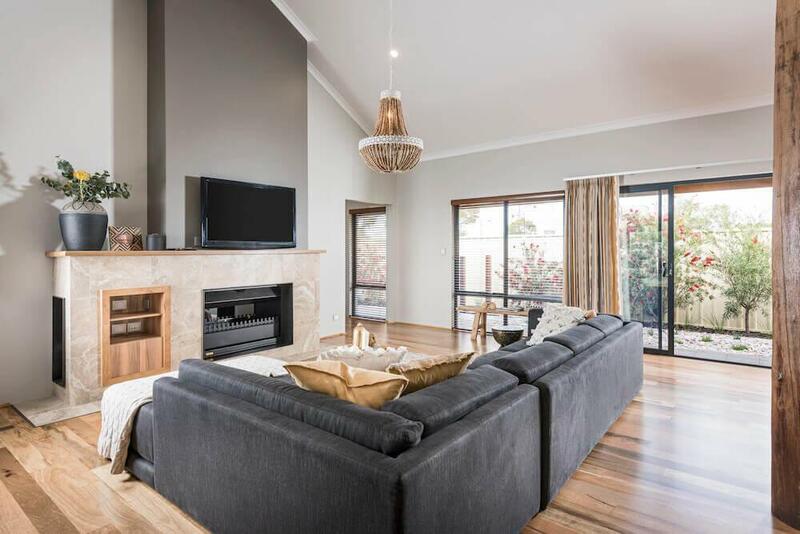 The homes simple and refined layout contributes to the casual and relaxed feel of the home’s interior. 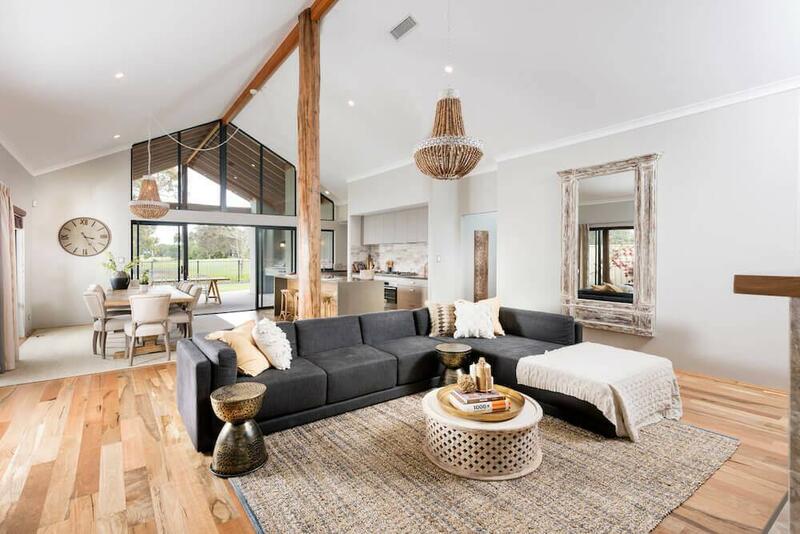 The central open plan living area is enhanced by soaring raking ceilings, a feature bush pole and gabled windows. 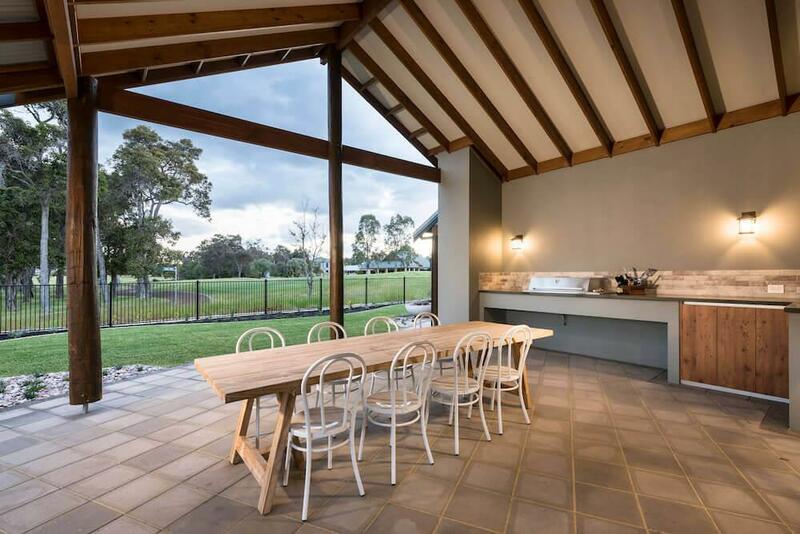 Sliding doors provide direct access to the impressive outdoor living designed to take in views of the surrounding landscape. 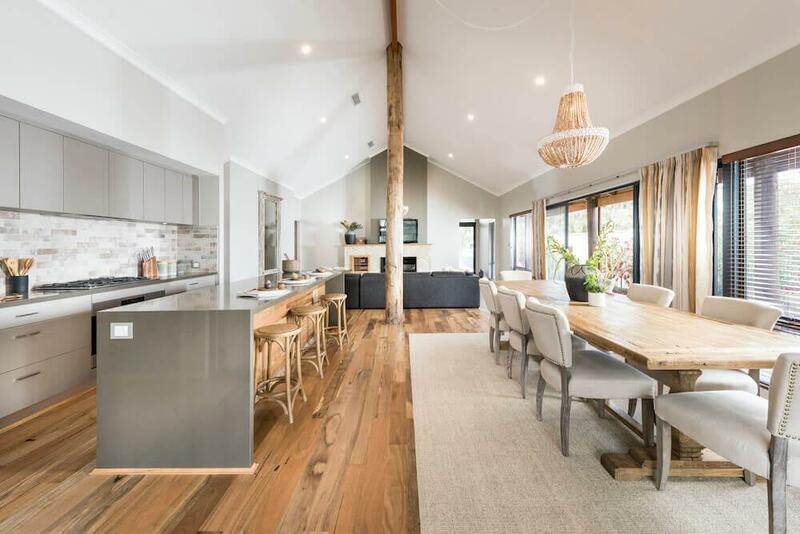 The kitchen stands pride of place and has been designed to sit amongst the open plan living and dining area, conveniently flowing onto the outdoor living area via sliding doors. 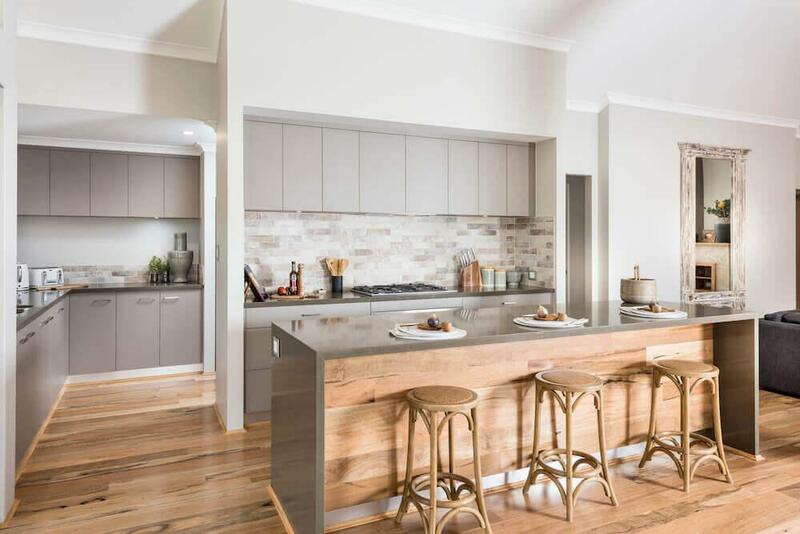 With a neatly tucked away scullery and plenty of natural light entering from the large gabled windows, the kitchen is an area where from and function play hand in hand. 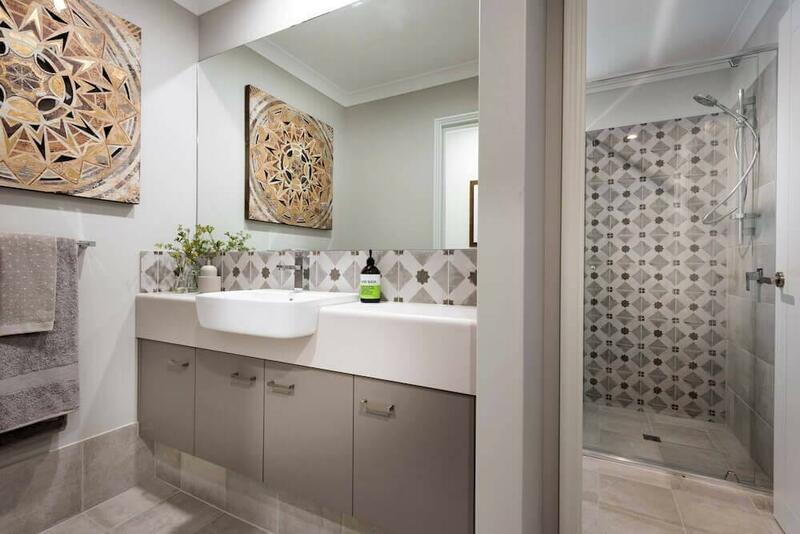 Adjacent to the scullery is a dedicated wine cellar with built in wine racks – a wine lovers dream! 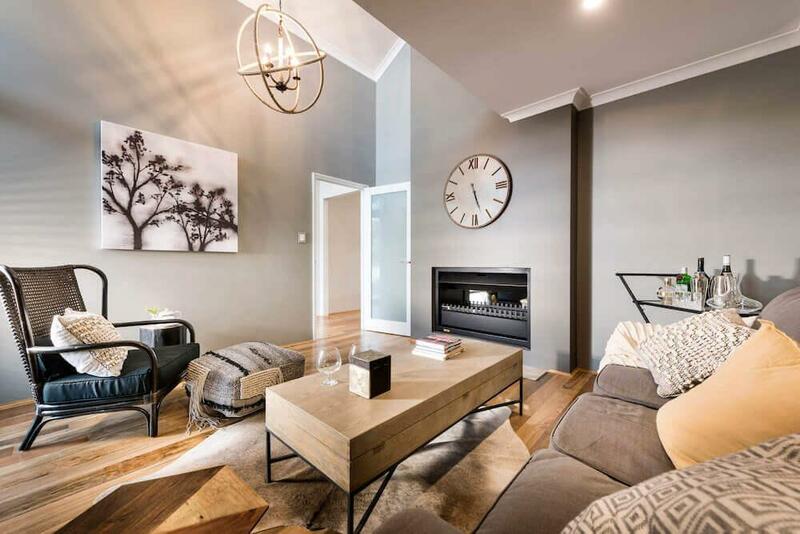 A double-sided fireplace with built in electrical appliance cabinets and fire and storage wood box creates the perfect space to enjoy a glass of wine and combat the cold winter nights. 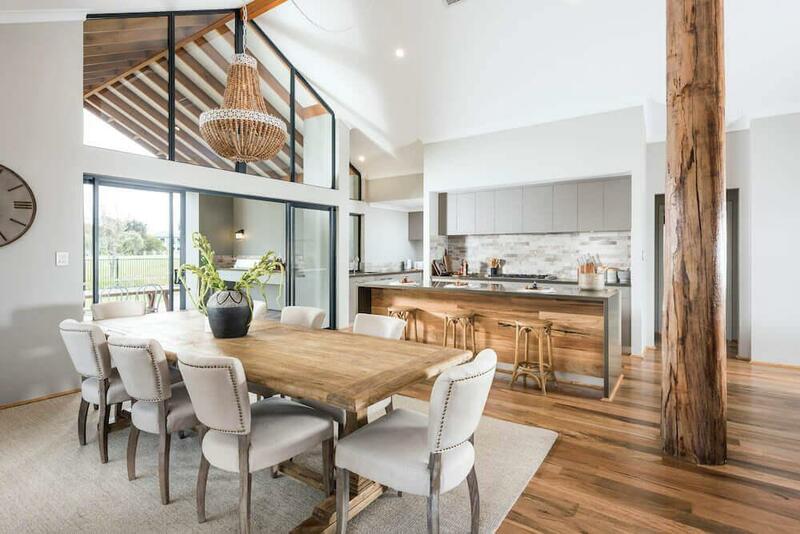 Recessed to the side of the open-plan living area is the secluded relax room featuring soaring ceilings that open to the library located on the upper level. 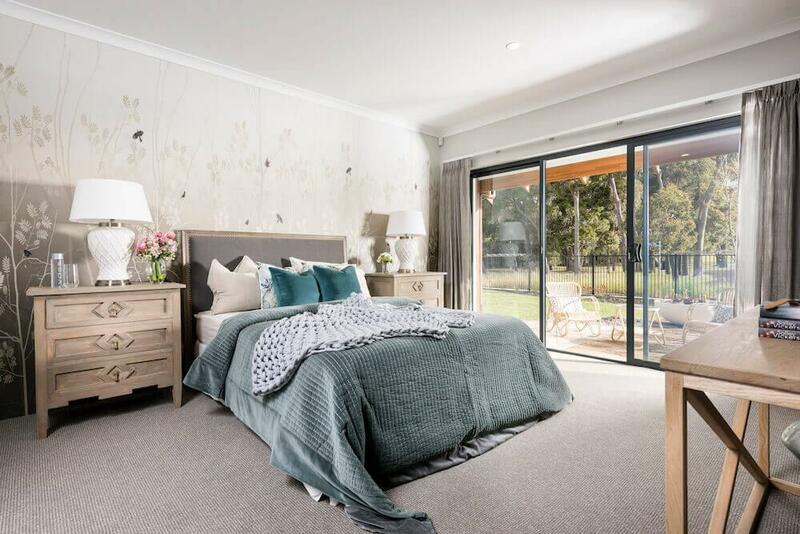 Carefully designed to cater for households of all sizes, with a private master suite located at one end of the home, along with the three guest bedrooms located at the opposite side of the home. 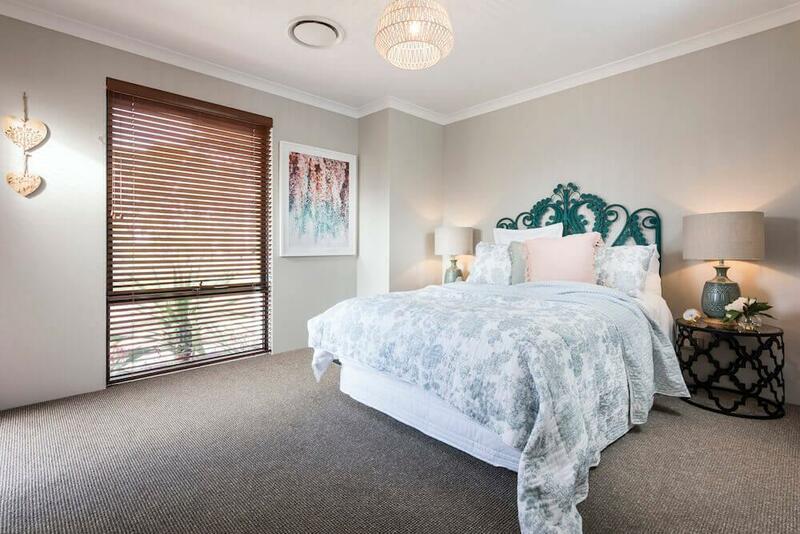 The parent’s retreat emulates an apartment with an expansive dressing room, deluxe ensuite and a sitting room, perfect to relax and read a book or enjoy a movie. The master suite has direct access to a private outdoor area. 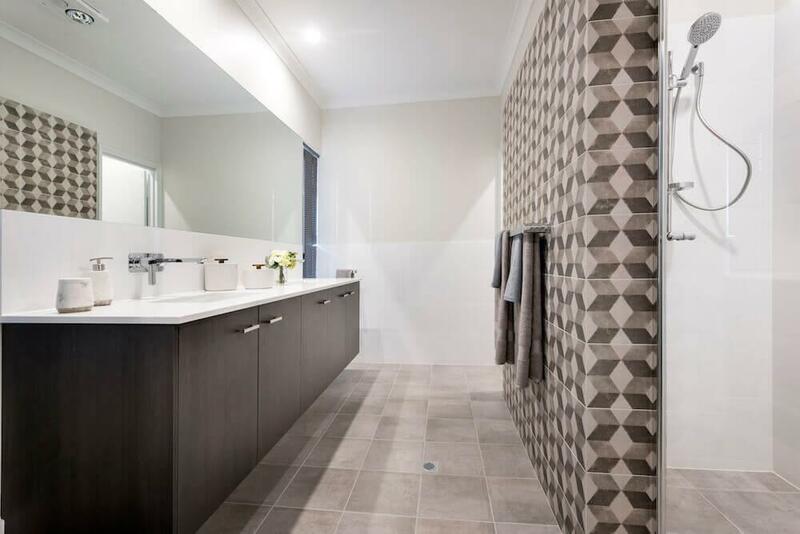 The three guest bedrooms are located towards the front of the home and each includes built in robes and access to a central bathroom and separate powder room. The home features a loft that home can be used as an additional bedroom space, activity, adult games room or even as a studio. The voids overlooking the free form living space create a ‘studio apartment’ feel. The Kalgup Retreat also includes a double garage, laundry and a walk in linen cupboard. * The google maps view above is an approximation. Contact us for further information.